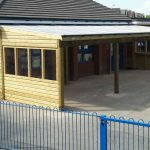 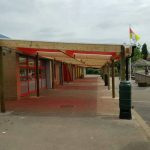 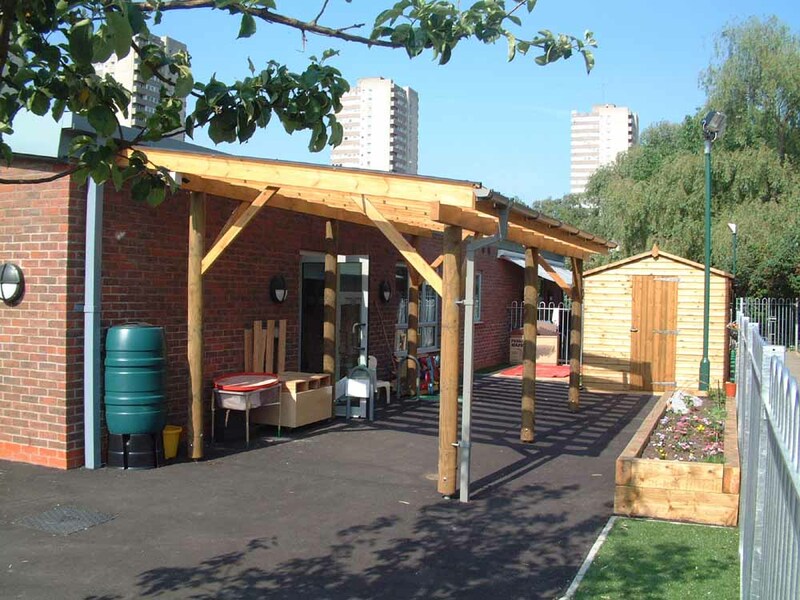 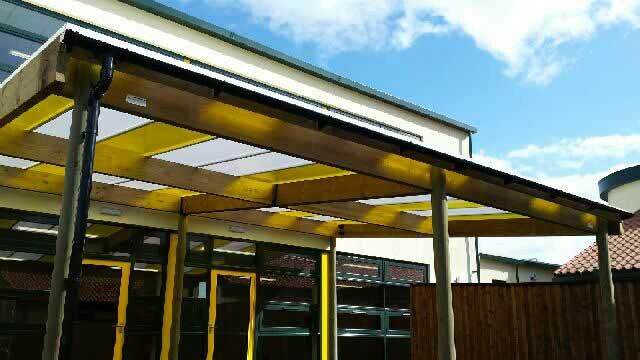 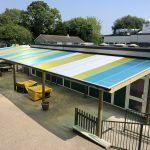 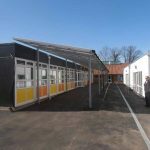 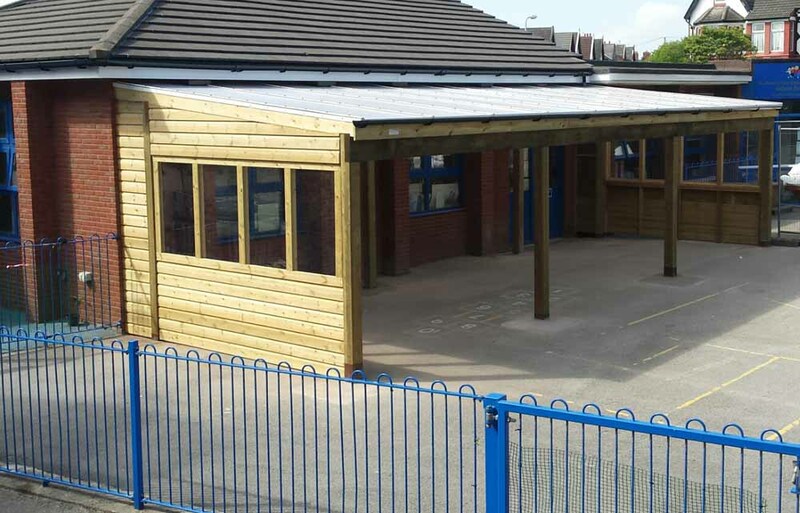 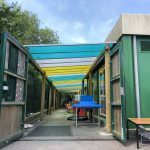 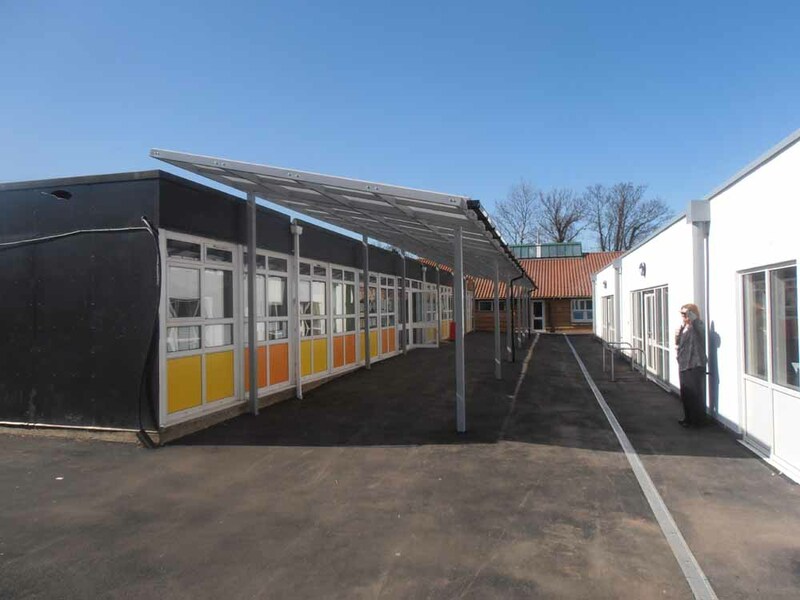 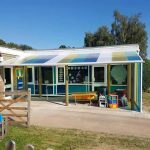 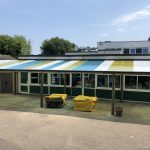 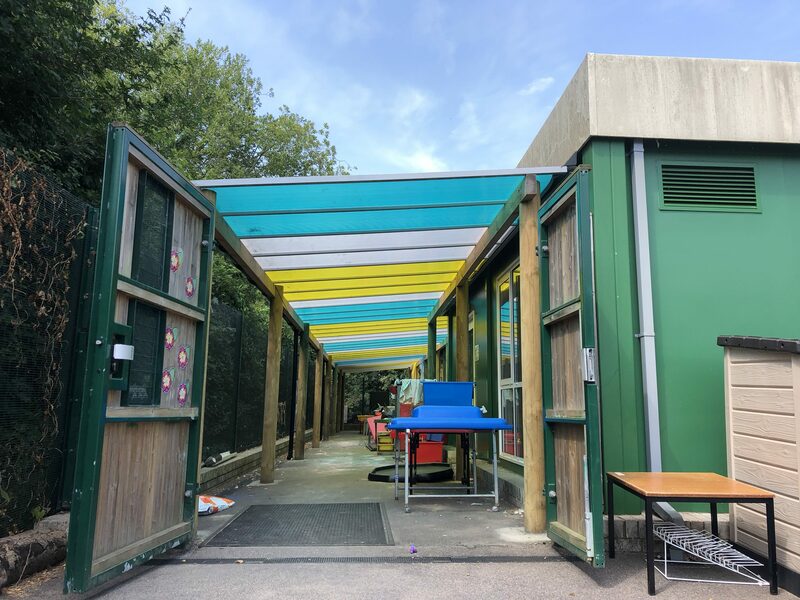 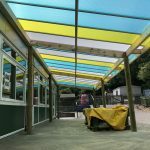 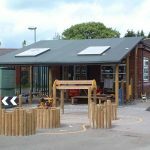 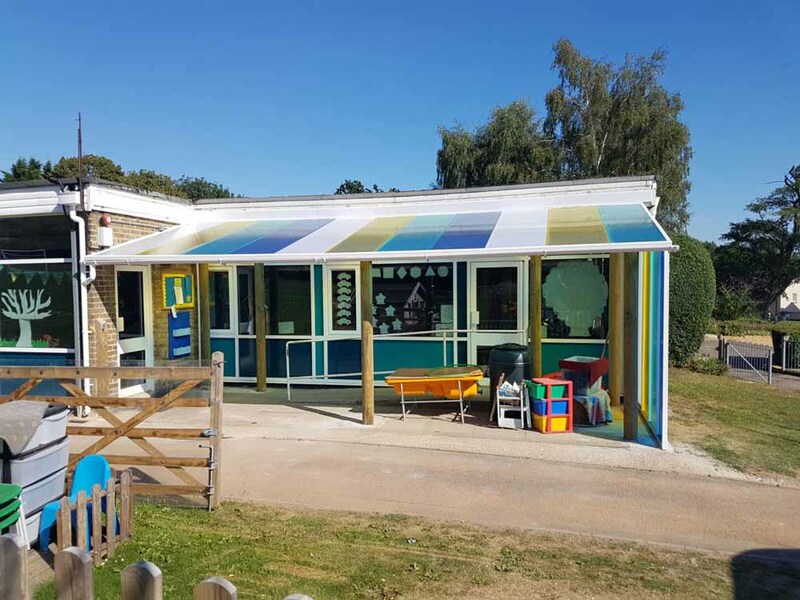 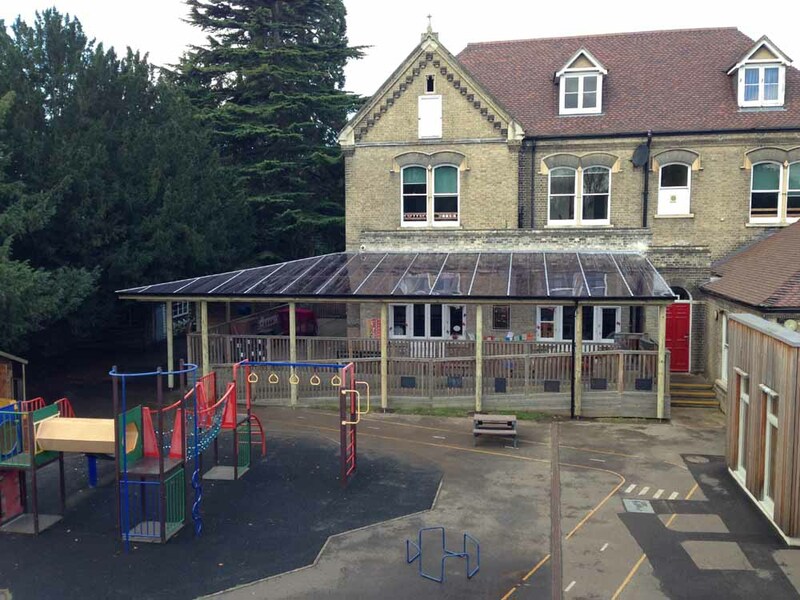 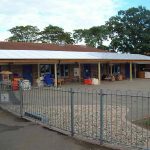 Setter Play has 20 years’ experience in the design, manufacture, and installation of timber canopies for schools and public buildings across the country. 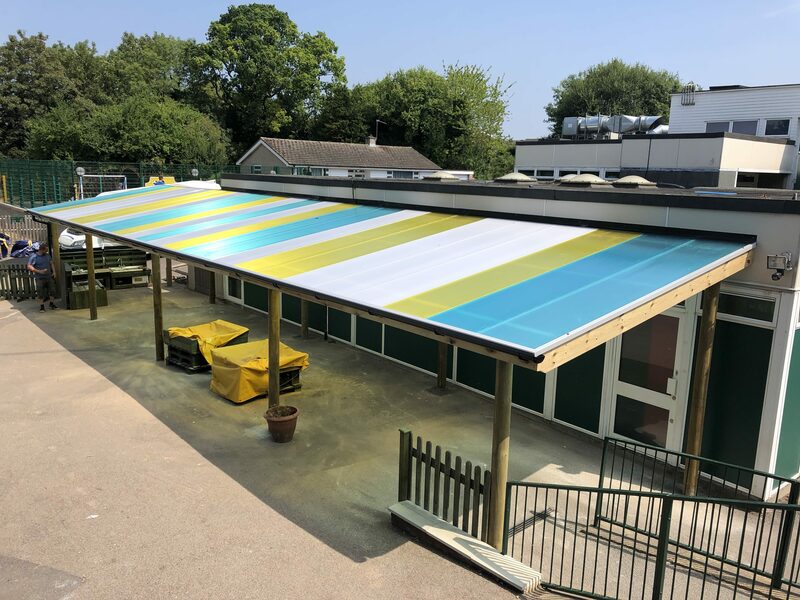 Our monopitch canopies are perfect for schools that are looking for a high-quality, thought-out design that will complement their school buildings and help provide some inviting all-weather access. 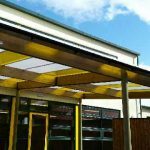 We take great pride in installing simple and functional structures that look great but don’t cost the earth. 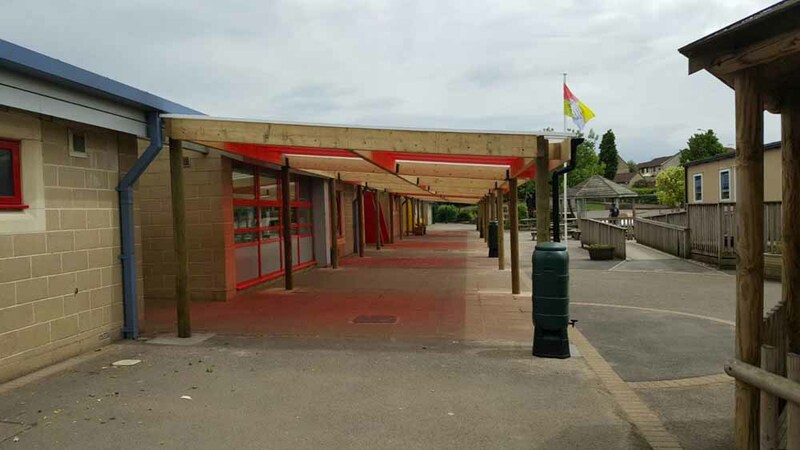 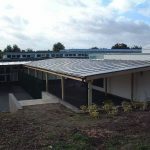 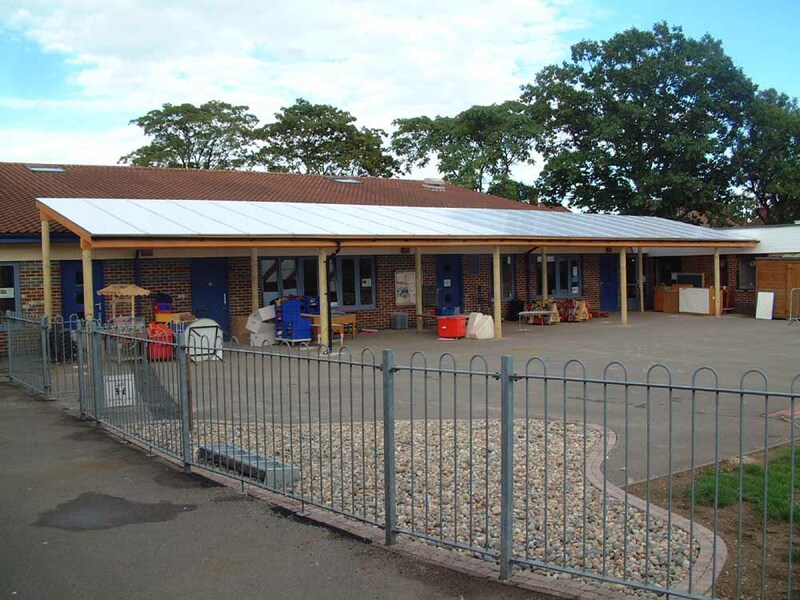 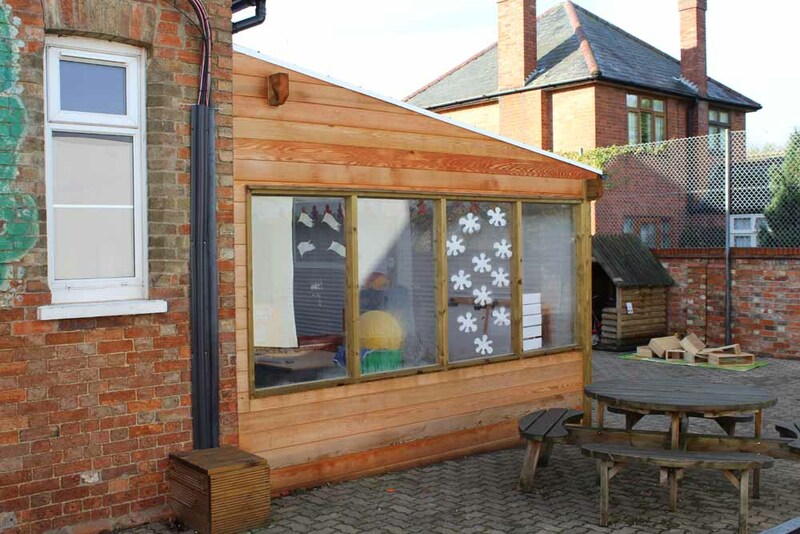 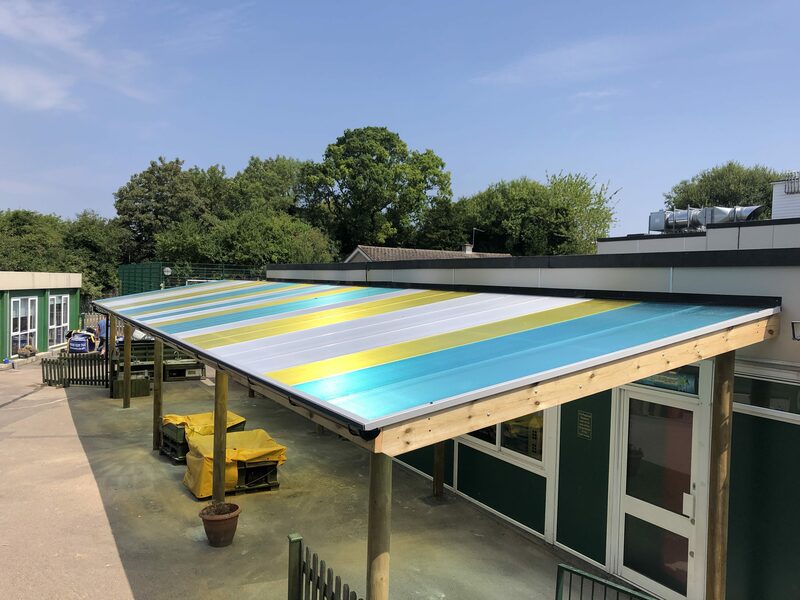 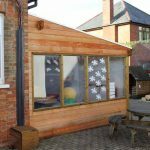 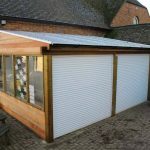 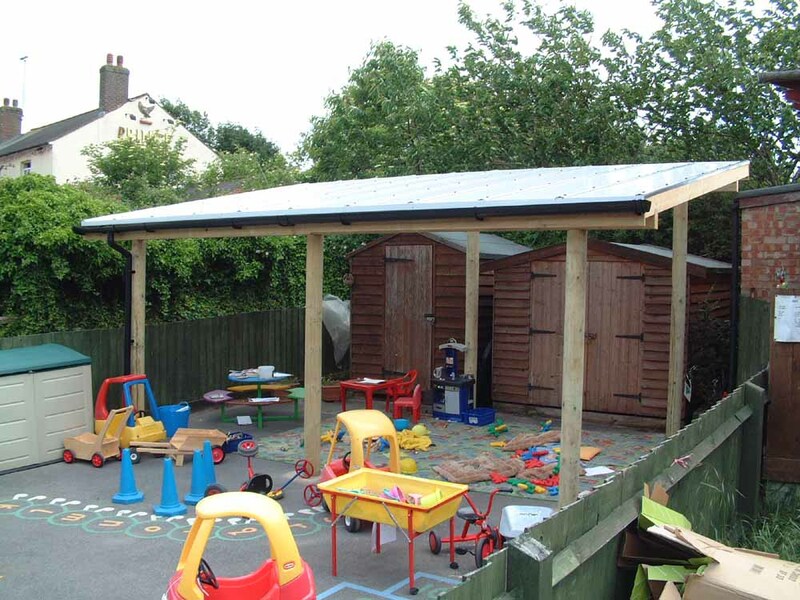 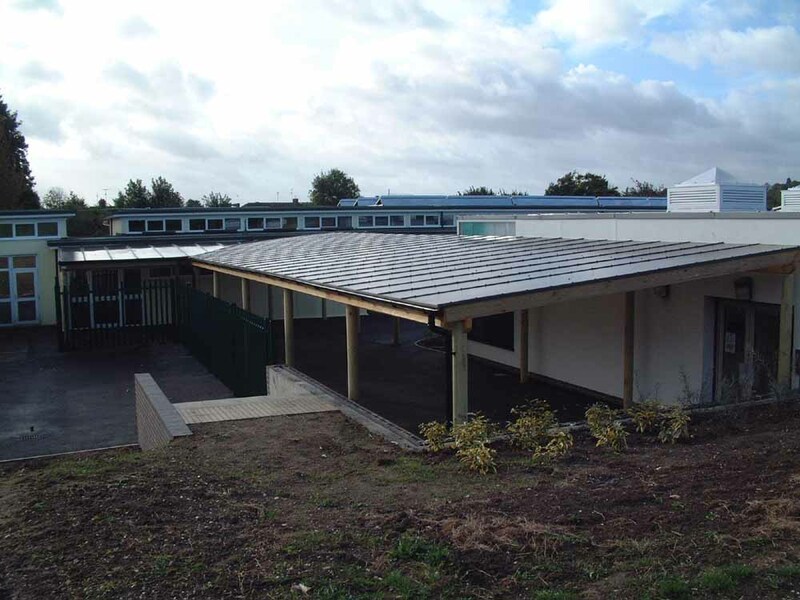 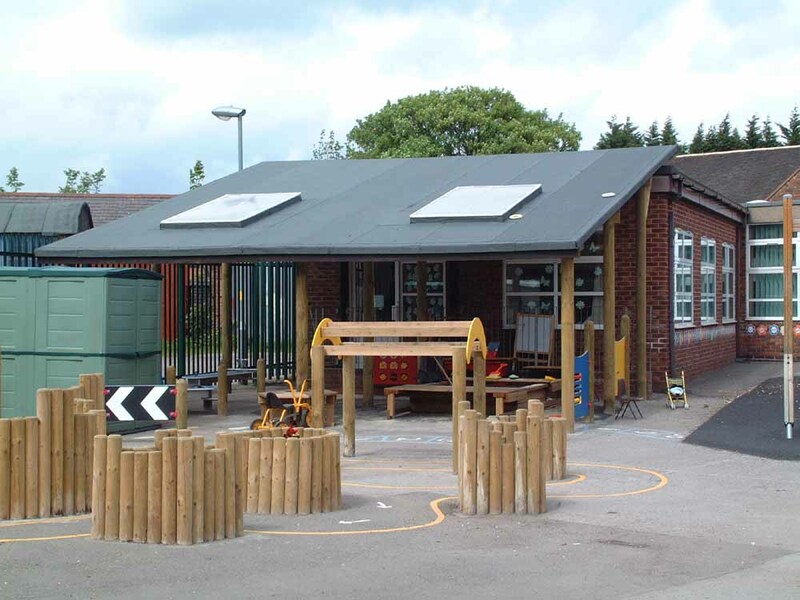 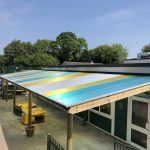 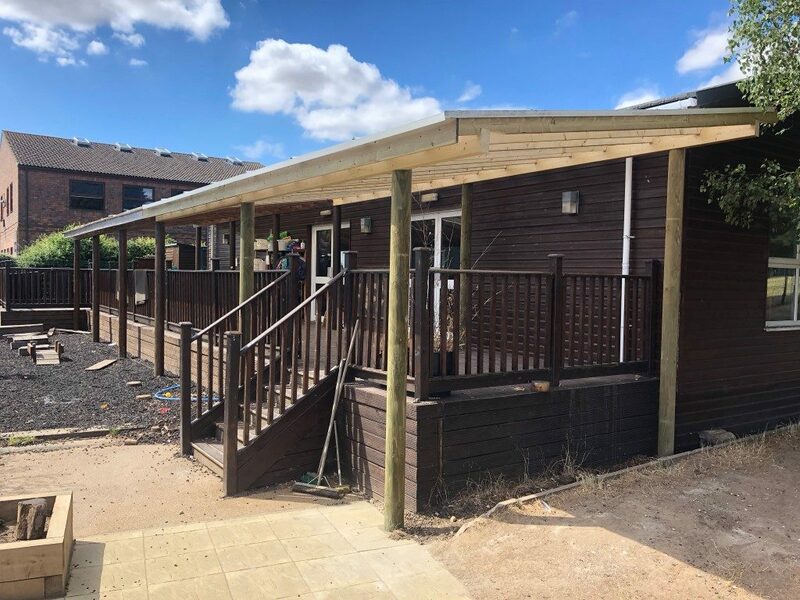 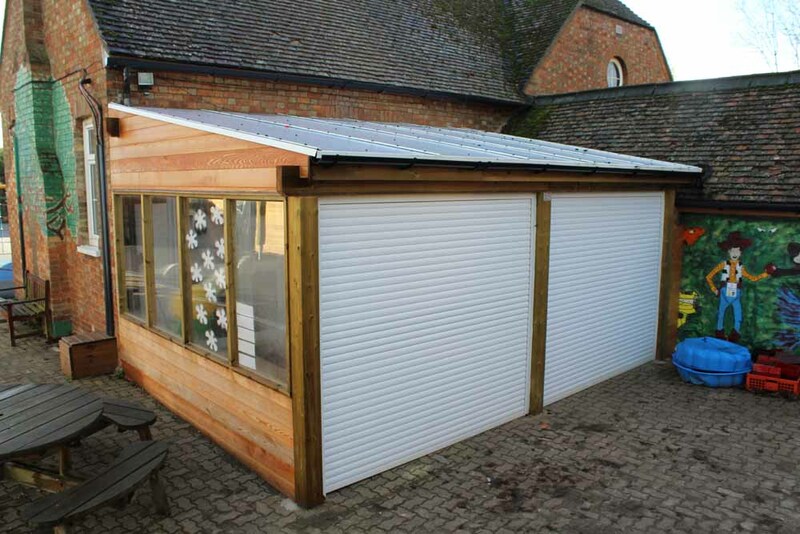 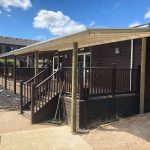 Generally they are free standing, which means they do not impact nor rely on being mounted from your school building, and where possible we will integrate the guttering on the canopies with your existing drainage, creating a seamless, watertight structure. 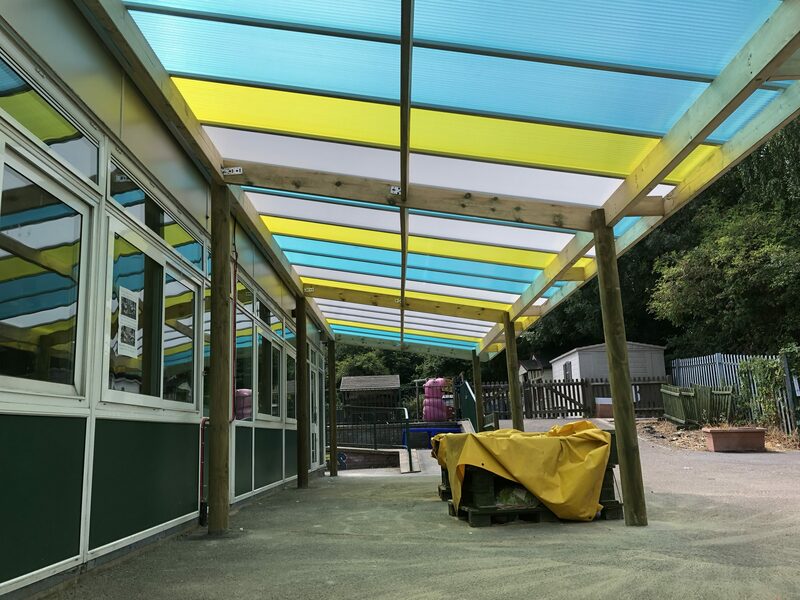 The roofing systems awe use allow plentiful light through to create a bright, welcoming space, but they also block out up to 99% of UV-light, which keeps the canopy cool in the summer and prevents harmful rays getting through. 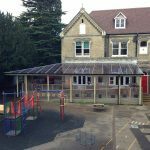 There are endless ways in which you can modify your new canopy, to create a structure that suits your needs and budget. 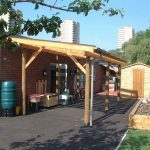 Just get in touch if you want to discuss our bespoke options further! 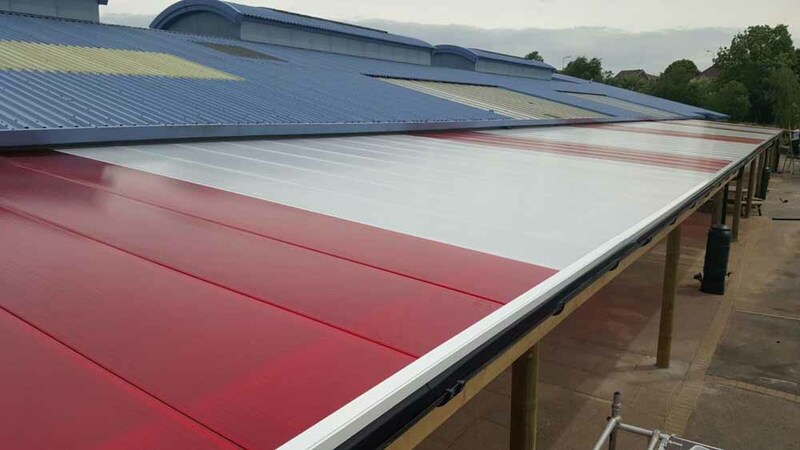 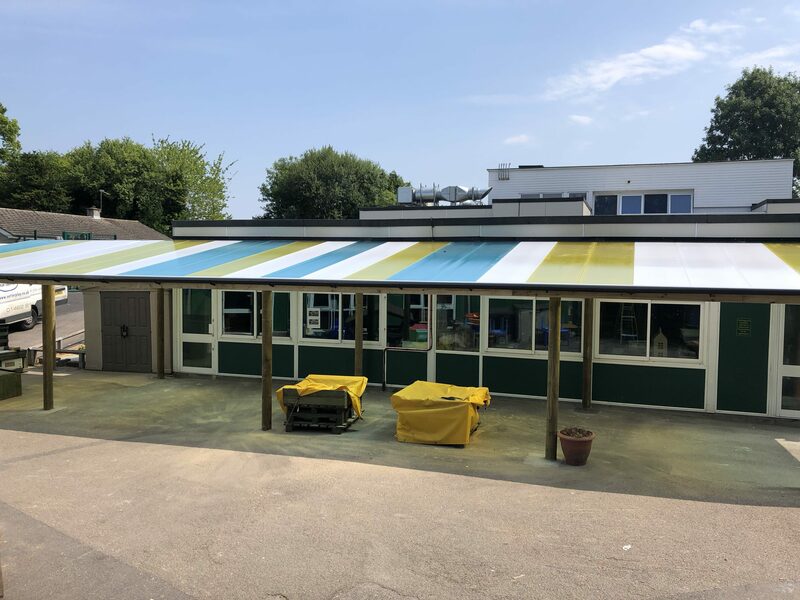 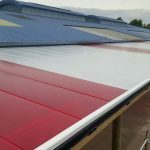 Coloured roofing sheets in any configuration you’d like – schools love installing a canopy that matches their school’s colours! 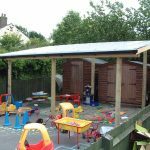 Plus much more; give us a call to find out!